A civil society organization collective named “Halte au Troisième Mandat” (“Halt to the Third Term”) is continuing its campaign against President Nkurunziza’s third term, which surpasses the constitutionally mandated two-term limit for presidents. On 26 March, the collective released a statement to the press in which they insisted “terror and resignation are progressively taking hold in Burundi” as a direct result of the government’s “bloody repression” of their protests. On 28 March, Congolese police used tear gas and opened fire into the air in order to scatter hundreds of opposition supporters in Kinshasa. The demonstrators had formed public protests after talks between President Joseph Kabila’s government and the opposition party collapsed. Many critics insist President Kabila has intentionally delayed the country’s elections in order to remain in power. The event has escalated tensions within the country, raising the possibility of renewed violence. According to the UN Commission on Human Rights in South Sudan, sexual violence in the country has reached “epic proportions.” Regional leaders issued a joint statement expressing concern over the humanitarian crisis and urging the parties to stop hostilities. Human Rights Watch (HRW) urged Jordan this week to either deny entry or arrest President Omar al-Bashir prior to his entry to the country for the Arab League meeting on Wednesday. Despite the warnings from HRW and other organizations that failure to arrest Bashir would be a violation of their obligations under the Rome Statute of the International Criminal Court (ICC), Jordan became the most recent ICC member state to fail to arrest Omar al-Bashir when he entered their sovereign territory. Bashir has two outstanding warrants issued by the ICC for a total of eight counts of atrocity crimes, including three counts of genocide. Representatives for South Africa are expected to appear before the Court next Friday to account for their government’s failure to arrest Bashir when he entered South Africa in June 2015 to attend a summit of the African Union. The lawyers for the South African government are expected to submit arguments against a finding of non-compliance. Residents in Taiz reported on Sunday that a girl was killed by a Houthi sniper in the eastern portion of the city where clashes between government and rebel forces have already killed dozens. President Hadi has reportedly declared that 80% of Yemen is now under his government’s control and that the offensive against the Houthis will continue until they are forced to the negotiating table. The contested port city of Hodeidah remains the Houthis’ last stronghold position and the primary target of the government and Saudi-led coalition’s offensive. By Alexandra Buskie, Policy and Advocacy Manager, United Nations Association – UK. UNA-UK is a Steering Committee Member of the ICRtoP. Human Rights Watch (HRW) has exhorted President Htin Kyaw to urgently revamp the nation’s “repressive and rights-abusing laws,” particularly those pertaining to race and religion protection. Aung San Suu Kyi announced that her government is determined to help Thailand solve its long-standing refugee problems. The Thai Foreign Minister, Don Pramudwinai, has estimated that there are 1.6 million Burmese migrant workers residing in Thailand. Two human rights organizations, Fortify Rights and United to End Genocide, have released areport entitled “Supporting Human Rights in Myanmar: Why the US Should Maintain Existing Sanctions Authority,” urging President Obama to renew the sanctions authority on Burma for at least another year. According to the report, more than 140,000 Rohingya, Kaman and other Muslims remain confined to over 40 squalid internment camps. The Pan African Parliament (PAP) called on the African Union to step up its efforts to resolvethe Burundi crisis. The PAP Rapporteur, Victor Hlatshwayo, stressed the need to put the lives of the Burundi people at the forefront. The UN Special Rapporteur on the Human Rights of Internally Displaced Persons (IDPs), Chaloka Beyani, stated that concrete steps must be taken in order to improve the situation of IDPs in Burundi, highlighting the importance of establishing a legal framework for their assistance and protection. According to IOM’s Displacement Tracking Matrix (DTM), the number of IDPs in March 2016 has reached over 25,000 in the three provinces of Rutana, Makamba and Kirundo. In addition, some 78,000 persons remain internally displaced from the 1993 crisis. On 9 May, Burundi’s Supreme Court sentenced 21 army officers to life in prison, including Burundi’s former Defence Minister, General Cyrille Ndayirukiye, in connection with a coup plot in May 2015. On 9 May, unidentified gunmen wearing police uniforms killed three people and injured one in a bar in Maramvya. Jean Minani, the newly elected leader of opposition group Cnared, urged rebels to “lay down their weapons” should President Nkurunziza agree to participate in peace talks later this month. OCHA has reported that the government service delivery capacity for healthcare in the Central African Republic is extremely poor everywhere except in Bangui. This has left the population vulnerable to diseases and with very little access to health services. Over 1 million are currently being served by non-governmental organizations and UN agencies through mobile services in areas not covered by the government’s basic health facilities. Doctors Without Borders stated that 4,000 South Sudanese refugees living in CAR are doing so in deplorable conditions after having fled conflict and violence. The organisation underlined the “lack of food, water and medicines”. The trial of former first lady, Simone Gbagbo, opened in Côte d’Ivoire on 9 May. She is charged with crimes against humanity during the post-election violence that took place in the country in 2010-2011, which resulted in the deaths of over 1,000 people after her husband, former President Laurent Gbagbo, refused to step down and relinquish power after losing the election. Mrs. Gbagbo has also been charged by the International Criminal Court (ICC) for crimes against humanity during the same period. Côte d’Ivoire has not applied to the ICC to challenge the admissibility of the case and Amnesty International has called for Côte d’Ivoire to comply with their obligation pursuant to her arrest warrant and surrender Mrs. Gbagbo to the ICC. Côte d’Ivoire contends that Mrs. Gbagbo’s trial is fair and transparent, but her defense has claimed that the jury is biased. Suspected Islamist militants reportedly killed approximately 20 to 40 villagers in the eastern region of the DRC. Meanwhile, the Allied Democratic Forces (ADF), another active rebel militia in the area, killed at least nine civilians in the eastern provinces of North Kivu and Ituri. Authorities in the DRC have arrested Brigadier-General Leopold Mujyambere, the chief of staff for the Democratic Forces for the Liberation of Rwanda (FDLR), a rebel militia group linked to the 1994 genocide in Rwanda. A DRC government spokesman said that authorities have taken Mujyambere to the capital to await a decision from the military system on whether he will be tried in Congo or extradited to Rwanda. On Wednesday, the DRC’s Constitutional Court ruled that President Joseph Kabila may remain in office beyond his constitutional mandate should the election be delayed, as a clause in the constitution mandates that the sitting president must remain in his post until a new president is elected and installed. Opposition parties, who have accused Kanila of attempting to hold onto power by delaying the elections later this year, have denounced the decision. Since late April, authorities have arrested at least 27 associates of Moise Katumbi, an opposition presidential candidate, as well as other opposition party members. The Justice Ministry opened an investigation into Katumbi on 4 May, the same day he announced his candidacy for president. Iraq’s government failed again to vote on a cabinet proposed by Prime Minister Hadi, prolonging the month-long political crisis. Amnesty International urged the Iraqi government and the Kurdistan Regional Government to carry out an “impartial and independent” investigation into abuses committed by their respective militias and security forces. According to the Pentagon, on 6 May, an airstrike killed Abu Wahib, a top ISIL commander, and three others outside of Rutba in Iraq. Wahib was reportedly a former al-Qaida member in Iraq and made appearances in several ISIL execution videos. On Tuesday, a suicide bombing in Baqouba, a city northeast of Baghdad, killed at least 13 people and wounded 60 others in a commercial area of a Shiite neighborhood. ISIL has claimed responsibility for the attack and reported that a Shiite mosque was the intended target. On 11 May, a car bomb killed 62 people, mostly women and children, and wounded 86 others in a crowded market in the Sadr City neighborhood of Baghdad. ISIL has claimed responsibility for the attack in an online statement, specifying that they were targeting Shiite fighters. Kenya has announced that the government has closed the country’s Department of Refugee Affairs and is currently working towards closing Kenya’s refugee camps. Amnesty International expressed concern over the closure of Kenya’s two large refugee camps, including the Dadaab camp, the largest in the world. Muthoni Wanyeki, Amnesty International’s Regional Director for East Africa, stated, “This reckless decision by the Kenyan government is an abdication of its duty to protect the vulnerable and will put thousands of lives at risk.” The closure could displace over 600,000 people. The United Nations and human rights organizations have also called on the Kenyan government to revoke its decision on closing the refugee camps. In a joint statement, several non-governmental organizations, which are already providing assistance to refugees in the country, have pledged to provide full support to the Kenyan government in handling refugee problems. Next week, regional foreign ministers will meet for talks in Vienna on providing support for Libya’s new unity government and bringing stability to the country, according to Italy’s foreign minister. Libya’s UN-backed Government of National Accord (GNA) has announced the establishment of a “Presidential Guard”, a new military force in charge of protecting government buildings, border posts, and other important public facilities and notable visitors. It is the new unity government’s first move to reorganize military forces in Libya. Western Libyan forces have announced that they are preparing an advance to retake the the city of Sirte, which has been ISIL’s Libyan stronghold. The forces have called for international logistical support in retaking the city but stated that they would not wait for the international assistance to lunch the operation. Malian security services have arrested Yacouba Toure, an alleged weapons trafficker and senior member of the Islamist militant group, Ansar Dine. Toure is suspected of trafficking weapons across the border from Mali that were used in a deadly attack near Bobo-Dioulasso in Burkina Faso in October. Oumar Aldjana, representative for Mali’s Union of Fulani, has reported that 33 Fulani civilians have been killed in a conflict between the Fulani and Bambara communities in Mali’s central Mopti region. The Nigerian military spokesman announced that the army had launched a new military offensive to rescue unarmed civilians kidnapped by Boko Haram. The U.S. is also considering selling light attack aircraft to Nigeria to help it counter Boko Haram, a deal previously put on hold due to U.S. concerns over human rights abuses perpetrated by the military. French President Francois Hollande will attend this week’s summit in Abuja to search for a regional response to the militant threat in Nigeria. Leaders from Benin, Cameroon, Chad, and Niger will also attend. During the summit, France and Nigeria are set to sign a defense cooperation agreement, according to Nigerian President Muhammadu Buhari. Gunmen killed two policemen and three soldiers in raids on Monday in the Niger Delta, Nigeria’s oil-producing region. A rise in recent violence in the region has raised concerns that a previously quelled insurgency could resume. The military has vowed to use “all available means and measures” to stop militants from attacking oil facilities in the region, but a labor union has called for oil companies to evacuate all staff in the region. In a recent report, Amnesty International said that at least 149 detainees, including seven young children and four babies, have died at the Giwa barracks detention center in Maiduguri. The report called this center “a place of death” and called for its immediate close and the release of all 1,200 believed detainees or their transfer to civilian authorities. Amnesty International also said that over 8,000 young men and boys have been shot, tortured, suffocated, or starved to death since 2011 while in Nigerian military custody, with no one held responsible. On Thursday, a suicide bombing in Maiduguri killed at least five people and wounded 19 others at a government compound. No group has yet claimed responsibility for the act. The World Food Programme warned that up to 5.3 million people in South Sudan may face severe food shortages during this year’s lean season. An independent report by the International Organization for Migration revealed that the “protection of civilians” camps at UNMISS bases around the country, to which over 200,000 individuals have fled, will likely be necessary for years to come, despite the August peace agreement. The United Nations Special Representative on Sexual Violence in Conflict urged the South Sudanese government to actively address sexual violence crimes in the country, stating that sexual violence crimes have continued to be systematically committed during the conflict. Dr. Amin Hassan Omar, the head of the Darfur Peace Implementation Office, has announcedthat the Justice and Equality Movement (JEM) and the Sudan Liberation Movement-Minni Minawi (SLM-MM) have expressed interest in signing the Doha Document for Peace in Darfur (DDPD). Gunman from local tribes killed six people, including two children, near a Darfuri camp for displaced civilians. The incident occurred after a rise in tensions between the tribesman and the displaced caused by recent cattle raiding. Sudanese Foreign Minister Ibrahim Ghandour has stated that Sudan would open its borders to South Sudanese people when the South Sudanese government stops providing support to Sudanese rebel groups. Many called for the arrest of Sudanese President Omar Al-Bashir during his visit to Uganda, a signatory to the Rome Statute. The sitting president is wanted by the International Criminal Court for having allegedly committed genocide, war crimes and crimes against humanity. Assad’s forces have failed to regain control of a prison in Hama, where opposition leaders have been warning of possible mass executions of the 800 prisoners by the government. Most of the prisoners are political detainees. In retaliation for ISIL attacks on the Turkish border town of Kilis. Turkish shelling killed 55 ISIL militants. Kilis now hosts nearly 110,000 Syrian refugees. On Thursday, Turkish artillery and US-led coalition airstrikes killed another 28 militants in ISIL-held territory near Kilis. Turkish President Recep Tayyip Erdogan announced that the Turkish military is currently preparing to “clear” ISIL from the Syrian side of the border. Recent reports show that around 700 Iranian soldiers and militiamen have died fighting in the Syrian civil war, although Iran maintains officially that only “military advisers” have been deployed there. According to the International Institute for Strategic Studies (IISS), around 2,000 troops from the special forces wing of Iran’s Islamic Revolutionary Guard Corps are currently in Syria as well as at least 13 Shia militias. On Monday, the US and Russia announced that they would work together towards reaffirming the ceasefire agreement from February. US Secretary of State John Kerry acknowledged Russia’s major role in achieving the initial ceasefire, but also called Russia’s political solution to the conflict “not necessarily a workable equation.” The 17-nation International Syria Support Group will meet next week in Vienna. On Tuesday, airstrikes on Binnish, a town in Syria’s Idlib province, killed at least 10 people and injured others. 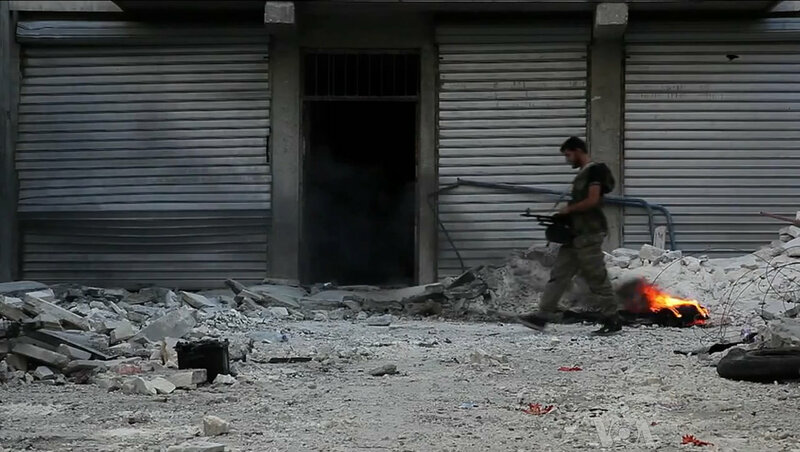 Clashes also erupted in and around Aleppo, regardless of the ceasefire in effect. However, on Thursday, the truce in Aleppo expired with no extension announced. After the two deadliest weeks since the ceasefire began in the country, UN Special Adviser on the Prevention of Genocide, Adama Dieng, issued a statement condemning the “ongoing indiscriminate and seemingly calculated attacks against civilians and civilian objects in Syria.” He also reminded States of their responsibility to protect ‪populations from atrocity crimes and urged the international community to ‪end impunity for perpetrators of the worst crimes in Syria. Paulo Sérgio Pinheiro, Chair of the Independent International Commission of Inquiry on the Syrian Arab Republic, a UN-mandated human rights inquiry, also condemned the attacks and called on all parties to immediately stop the unlawful attacks on civilians, medical facilities, and internally displaced persons (IDP) camps. ISIL has tried to mount a comeback outside of Palmyra, with militants cutting a crucial supply route connecting Homs, which is controlled by the government, and Palmyra. On Wednesday, France, the UK, the US, and Ukraine blocked a Russian proposal in the UN Security Council to blacklist Jaish al-Islam and Ahrar al-Sham for their alleged links to ISIL and al-Qaida militants. Jaish al-Islam is part of the High Negotiating Committee, which has been representing the opposition at the UN-brokered peace talks with the government. The US said that blacklisting them would undermine the negotiation attempts to attain a full cessation of hostilities in Syria. Ahrar al-Sham, meanwhile, is an ultraconservative Sunni militant group, which has fought as part of a military alliance with the Nusra Front, a group that is not part of the previously-brokered ceasefire. Russia has long maintained that Jaish al-Islam and Ahrar al-Sham should have no involvement in the peace talks. On 10 May, Yemen’s government and Houthi rebels reached an agreement on prisoner swap, releasing half of the prisoners and detainees held by both sides. The agreement was seen as the first major result of peace talks that began in Kuwait on 21 April. Despite this cautious progress, on 6 May, a bomb attack killed seven people and wounded 15 others in Marib. No one has yet claimed responsibility for the attack. Meanwhile, the Saudi-led coalition killed at least 10 rebels in Yemen on Monday. On 11 May, a suicide bomber rammeda car packed with explosives into a government military convoy killing at least eight people and wounding 17 others in eastern Yemen. No one has yet claimed responsibility for the attack. Yet another suicide bomber attacked the convoy of General Abdulrahman al-Haleeli, killing four of his guards. General Abdulrahman al-Haleeli escaped unharmed from the attack. On 12 May, ISIL claimed a suicide attack that killed ten soldiers and wounded 15 others in the provincial capital Mukalla. The attack was carried out hours before Prime Minister, Ahmed Obeid bin Dagh’s, visit to the city. The Internal Displacement Monitoring Centre (IDMC) has released a report entitled, “2016 Global Report on Internal Displacement,” indicating that Syria, Yemen, and Iraq have the highest number of IDPs, amounting to more than half the global total of displaced people. Next Thursday, May 19, The Montreal Institute for Genocide and Human Rights Studies will be livestreaming “Partners in Prevention: A Global Forum on Ending Genocide” hosted by the United States Holocaust Memorial Museum at the Simons Center in Washington DC. Register here. 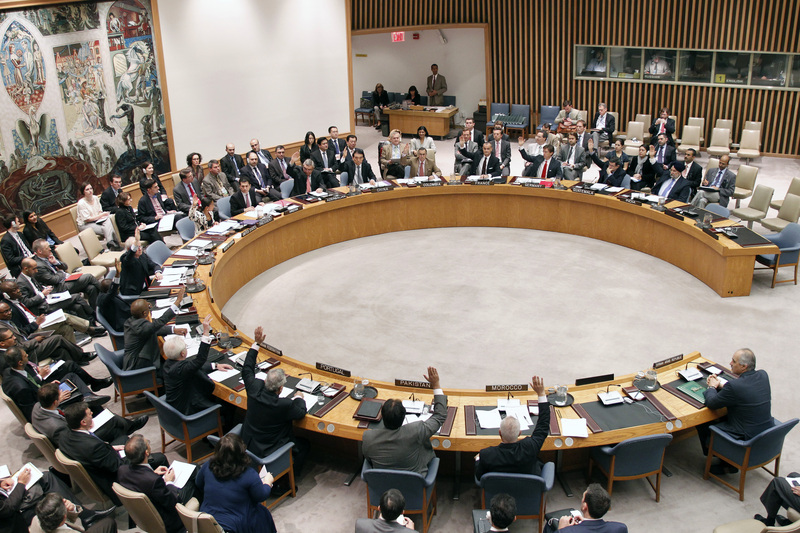 The rare consensus that allowed the Security Council to pass resolutions 2165 permitting cross-border delivery of humanitarian aid, and 2118 calling for the destruction of the Assad regime’s chemical arsenal, were welcome developments. However, in practice, it has done little to relieve the suffering of civilians still caught in the slaughter. 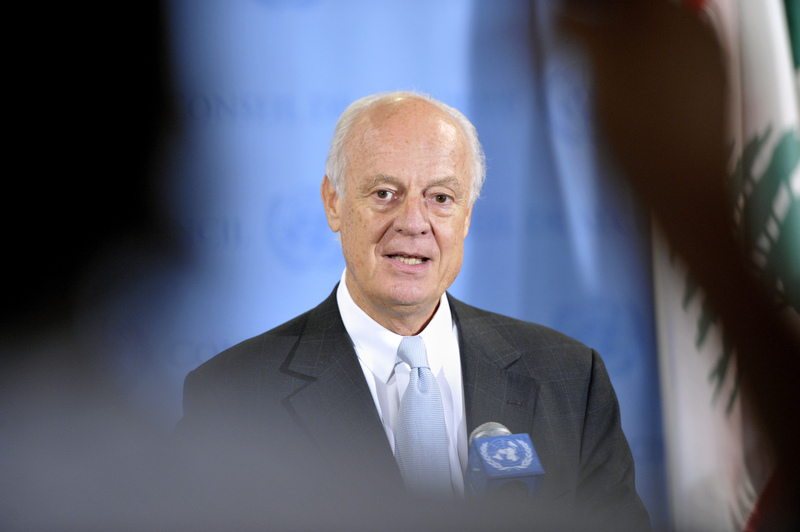 Staffan De Mistura as SRSG for Afghanistan. UN Photo/Mark Garten. Already, the conflict has consumed two astute international negotiators – Kofi Annan and Lakhdar Brahimi – both sent to Syria as joint UN/Arab League Special Envoys, and both unable to stem the bloodshed. The third to try his hand is Staffan De Mistura, a veteran diplomat who has served as the head of the UN missions in Iraq and Afghanistan. Buffer Zone: Bastion of Safety or Invitation to Bloodshed? The US and its allies have heeded calls for international action to prevent the slaughter of Kobane’s civilians, launching airstrikes on ISIL targets inside the city. However, there is broad agreement that more is needed. Though scant on details, the Turkish requests for a protected “buffer zone”, if approved, could significantly change the dynamic on the ground. If implemented, the plan would see US aircraft utilizing the Incirlik Airbase in Turkey to launch strikes reaching from north of Aleppo to the town of Kobane to prevent further ISIS incursions. Simultaneously, Turkish special forces would enter Kobane to provide support to Syrian opposition fighters and its leaders, who would be free to use the zone to consolidate their efforts. “There are very strong humanitarian justifications to be able to protect people inside Syria rather than see them race across borders as refugees.” He also adds, “…there needs to be the growth of decent, legitimate governance in Syria, governance that would ultimately be extended to all Syrians,” recommending that a buffer zone in Kobane could be the starting place. Twin Explosions in Kobane, October 8, 2014. Flickr/Karl-Ludwig Poggemann. With reports that the U.S., France, and Britain are coming closer to accepting such a plan, all of these possibilities must be weighed carefully. Local ‘Freeze’: Brave New Initiative or Same Old Formula? The local ‘freeze’ proposed by Staffan De Mistura is another initiative that is currently on the table. The plan would look something like this: the government and opposition would agree to a UN-mediated de-escalation of the violence by ‘freezing’ the conflict in the iconic city of Aleppo. This would allow the delivery of humanitarian aid to beleaguered populations, and a semblance of normalcy to be restored. Ultimately, it is hoped that the model can be transposed to other key cities to create the political space for a national peace process. It can also demonstrate the possibility of shifting the narrative of the conflict from the military to political. De Mistura views the plan as going beyond simply “talking” about peace at the international level, to taking incremental steps to achieve a “bottom-up” solution. According to the UN Envoy, both the Assad government and the Syrian opposition are seriously considering the initiative. Like a buffer zone, the freeze has invited optimism along with skepticism. Much of the latter stems from observing previous ceasefire agreements that have failed to produce results. A report commissioned by the London School of Economics and the Syrian civil society organization Madani analyzed four locally negotiated ceasefires in Homs, Aleppo, Barzeh and Ras Al-Ain. The report outlines the salient factors that led to ceasefire collapse, including: military and strategic manipulation of the agreement to gain concessions; negotiations conducted in bad faith and with a lack of trust; the existence of war profiteers and other spoilers who stand to gain from prolonging the violence; the absence of an independent mediator; and the lack of a larger peace process in which to frame the ceasefire. Regardless of the risks, the lack of alternatives has led others, such as Coalition members PAX and Human Rights Watch, to view the freeze as the only viable way forward. PAX, in a recent policy brief on the subject, recognized that there are indeed risks associated, including the potential to manipulate the agreement for strategic gains. But under the proper conditions, it can also improve human security and allow for the development of local governance structures by civil society actors. For this to occur, PAX cites a few crucial ingredients that have been missing from past ceasefire efforts. 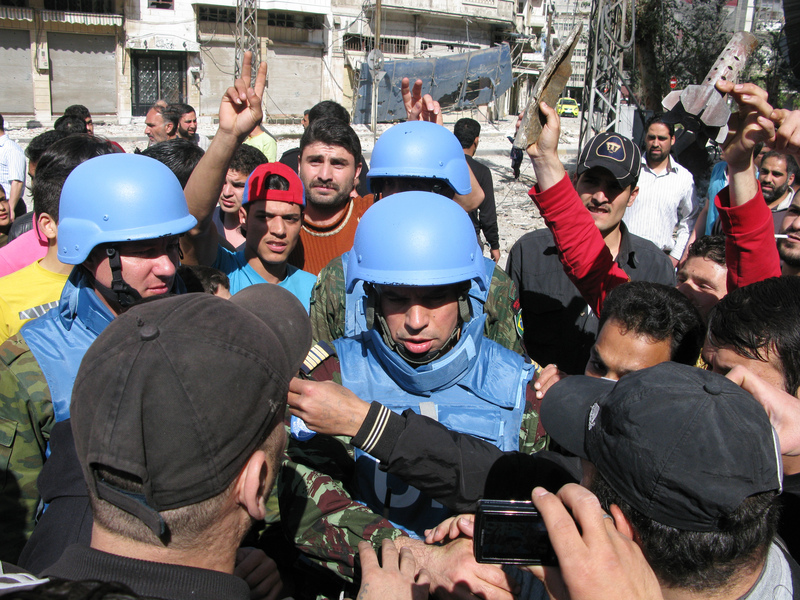 These include: UN third-party monitoring to ensure compliance with the terms of the freeze, including through sanctions if necessary; significant and sustainable improvement of the humanitarian situation; support and promotion of inclusive and responsive local government; securing buy-in and commitment of all local commanders in Aleppo; and a political framework that links the freeze to a broader peace process. Steps such as these could potentially set the freeze apart from other failed initiatives. However, the damage done by previous ceasefire violations still hangs heavy. Indeed, the Syria National Coalition has reportedly stated it would reject the plan unless it is backed by a Chapter VII resolution and tied to a concrete peace plan such as the stalled Geneva talks. This reflects the reluctance to trust a government that has been all too willing to renege on past agreements. It also clearly shows that any chance for implementation will rely heavily on De Mistura’s ability to skillfully negotiate the terms with both parties. Both of the above proposals follow the similar logic of creating zones of protection and stability that will ripple outwards, demonstrating the possibility of good governance and political agreement in the war-ravaged nation. However, De Mistura’s plan relies much more on consensus and cooperation, while a buffer zone is far more coercive in nature. Both utilize important RtoP tools, including mediation, humanitarian assistance, and potentially, the use of force for the immediate protection of civilians. However, as in any RtoP case, the proper course of action should depend on a careful analysis of the situation and the potential consequences of any intervention, in accordance with the UN Charter. Crucially, the precautionary “Do no harm” principle must continually be minded. * The Responsibility to Protect norm, as agreed to in the 2005 World Summit Outcome Document, does not sanction a unilateral military response or a response by a “coalition of the willing.” Any military response under RtoP must be authorized by the Security Council.